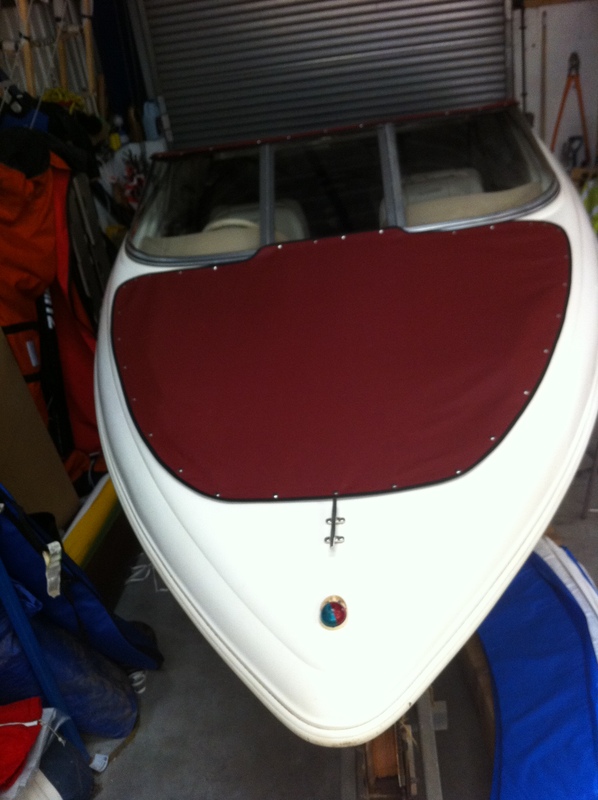 At RB Sails we are fortunate that our large workshop allows us to bring certain boats inside so that we can tailor and fit our high quality boat covers in a secure environment. 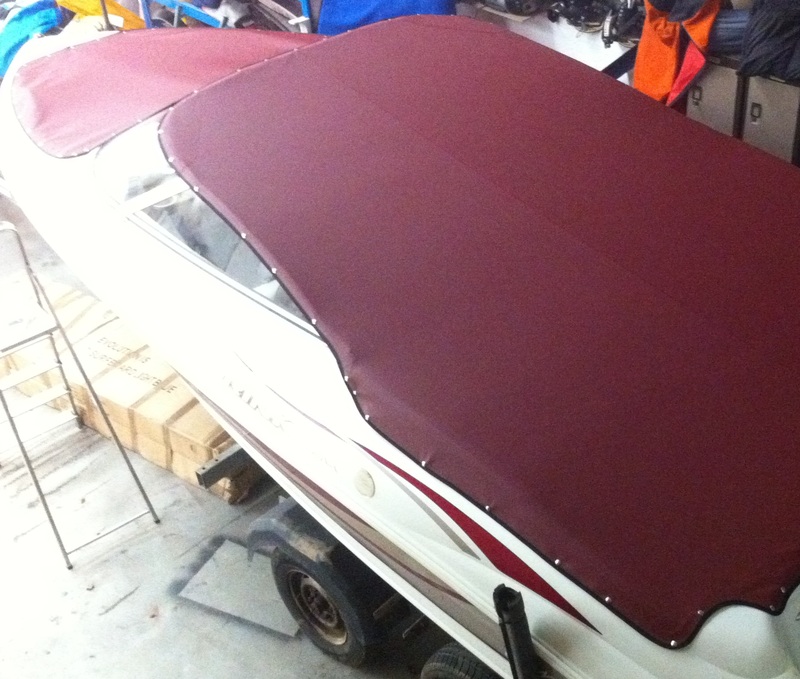 We carry a range of materials to give the boat owner options with regard to cost and are always happy to advise on the best choice of canvas for your vessel. 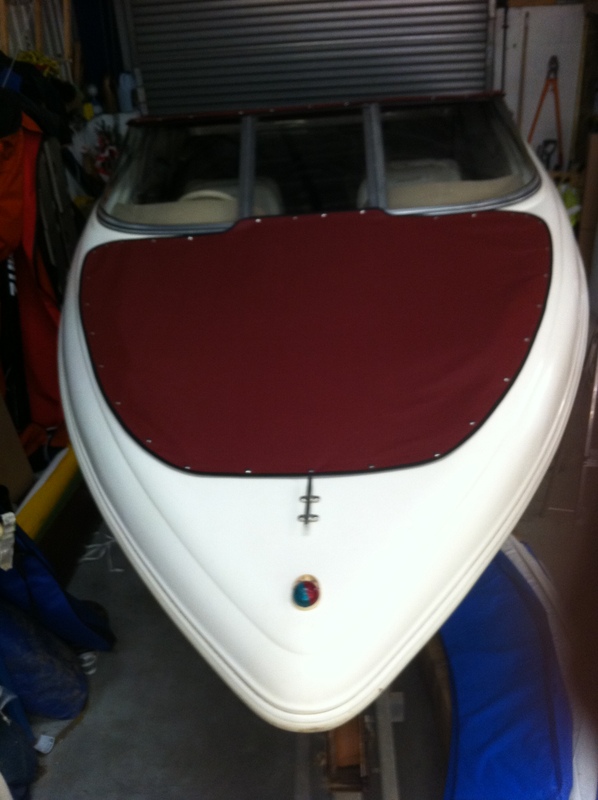 The bowrider speedboat below is a good example of our work. 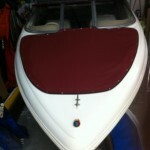 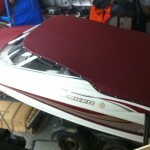 The long-life fabric has been tailored exactly to give a wrinkle-free cover that really enhances the look of the boat. 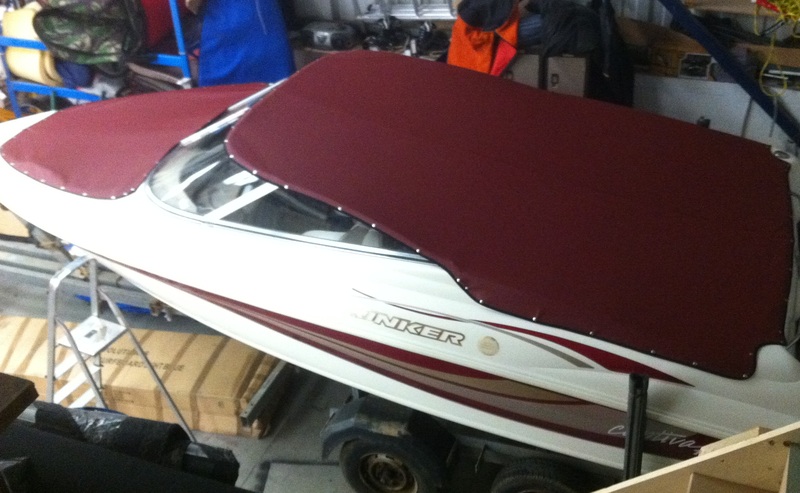 We were even able to colour-match the cover to the boats graphics. 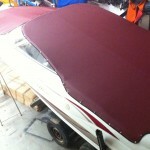 The rot-proof webbing and stainless fittings will ensure that this look is maintained for years to come. 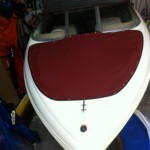 Why not call RB Sails now to discuss how we can protect and enhance your boat with a quality custom cover?